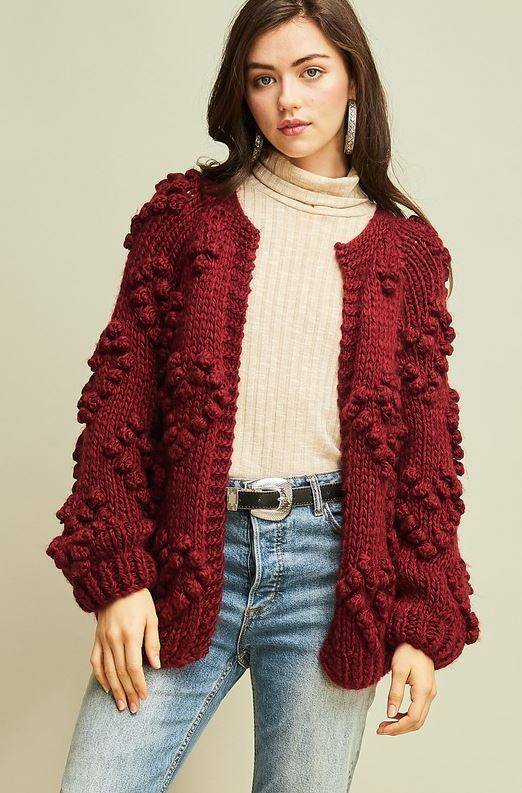 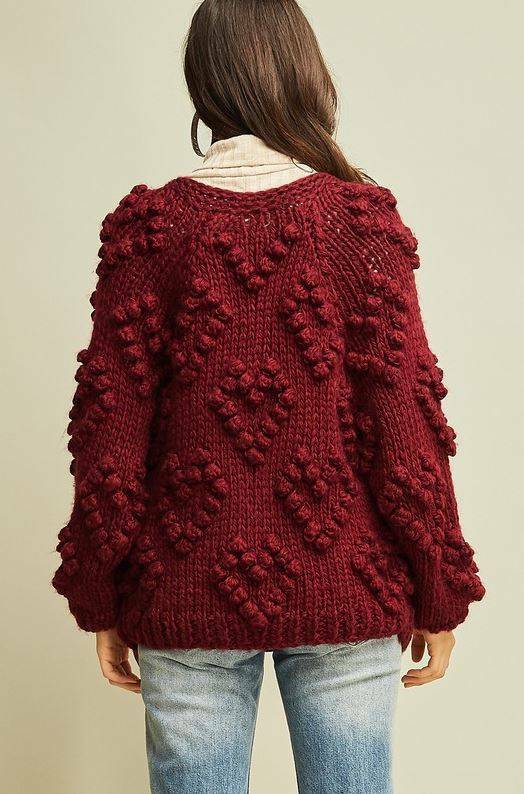 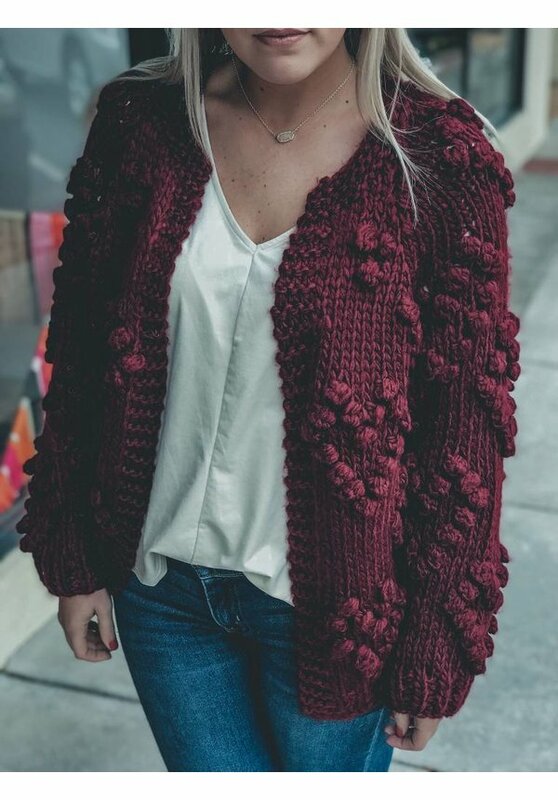 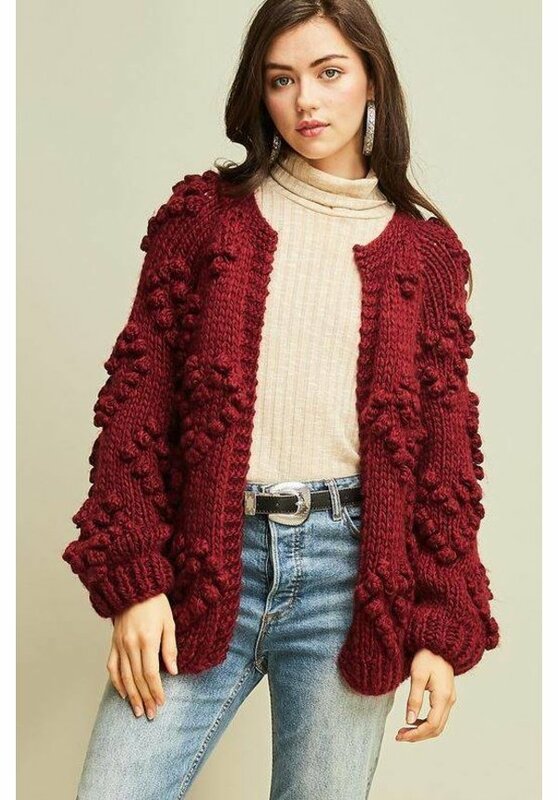 It's all in the details - and we are obsessed with the pom detail on this chunky knit cardigan! 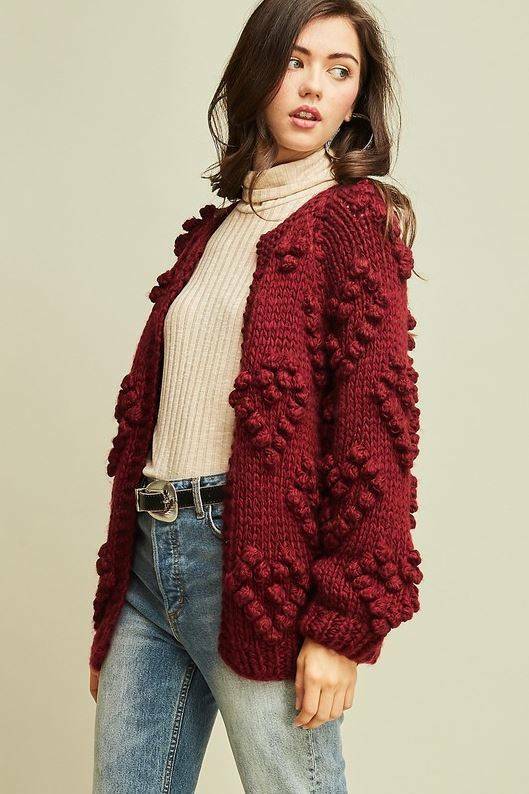 This style is a more relaxed fit and we recommend sizing down! 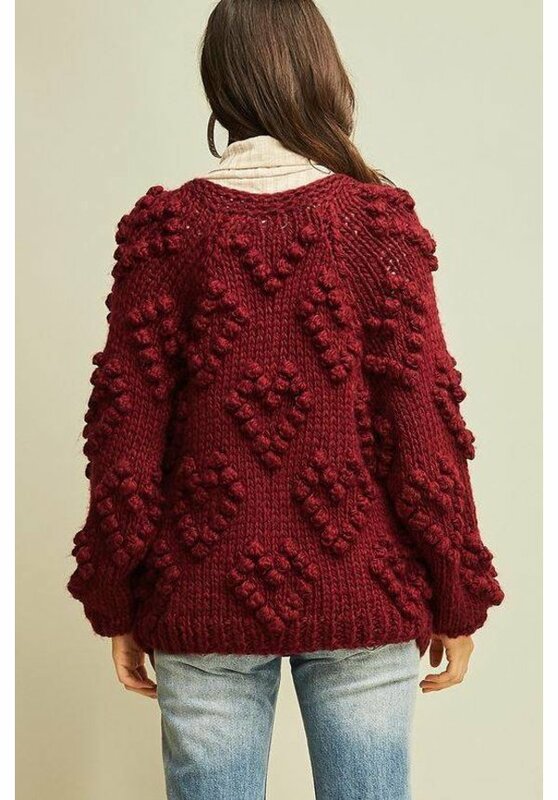 Make a choice: "Color: Wine","Size: S" "Color: Wine","Size: M" "Color: Wine","Size: L"